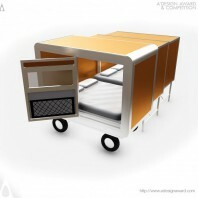 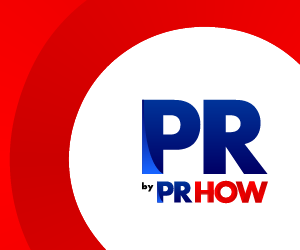 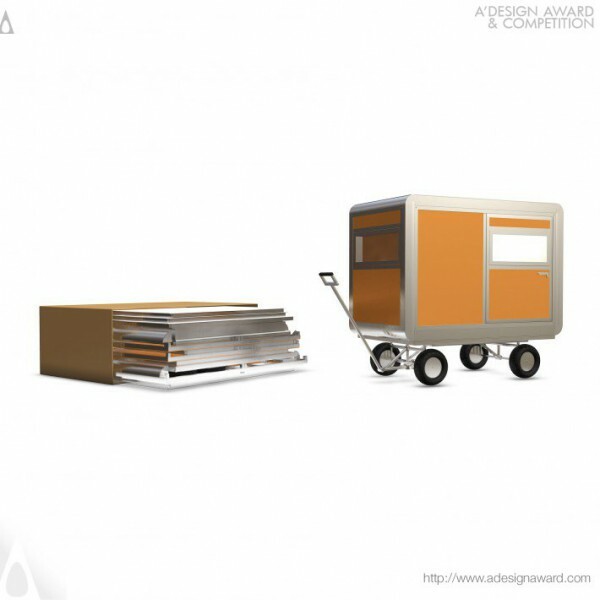 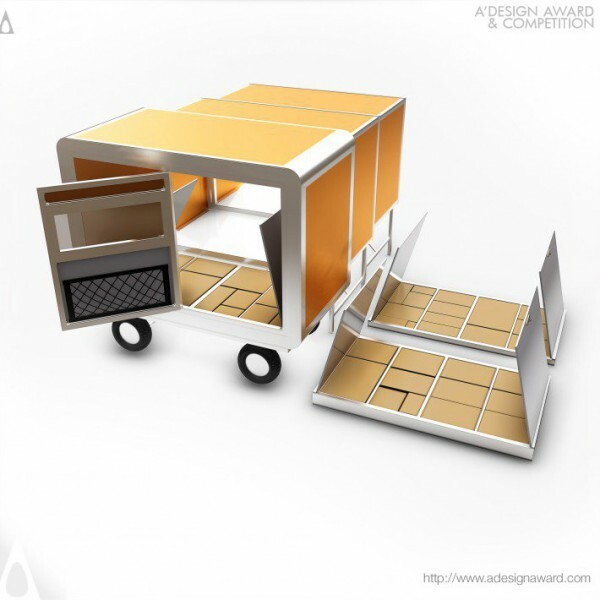 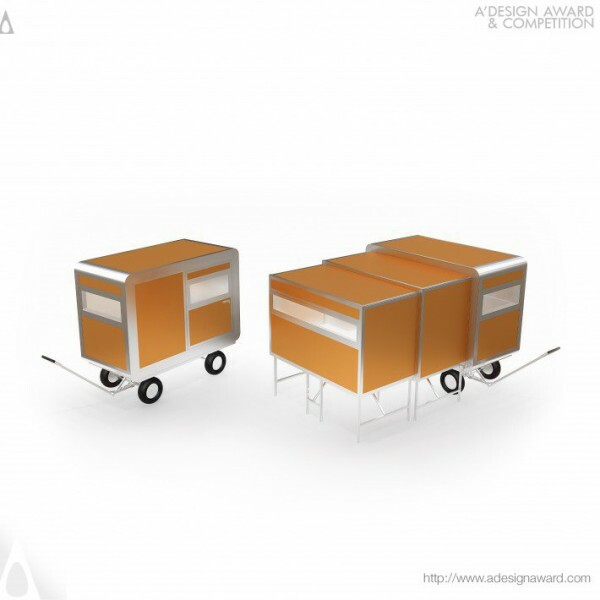 John Cruz, the project leader of the award winning work Rush - Mobile Shelter by John Cruz illustrates, A mobile, extendable, modular and multi-functional wagon that can be used as a portable refugee shelter when towed along by a single adult human being. 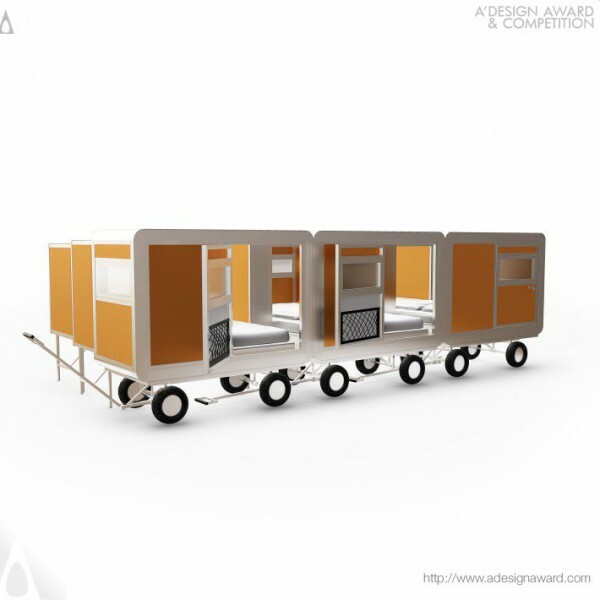 It has a compact configuration that can accommodate a single adult person, and it can fully extend its telescopic slide out sections to provide sleeping accommodations for up to four people. 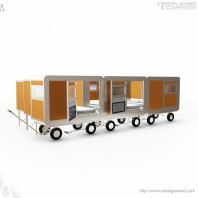 In addition, the wall panels can be detached to allow its frame to conjoin with similar Rush units to create a much larger and shared accommodation. .